The whole process of moving your family and belongings to a new home can be tiresome and tedious, not to mention the financial part of it. The Unbeatable Removals has been in this business for decades, and has move thousands of households as well as relocated offices to new locations. But other than The Unbeatable Removals, there are other hundreds of moving companies that you are free to choose from, of course the quality of services cannot come anywhere near that of the unbeatable removals. So what should guide you when choosing a moving company? 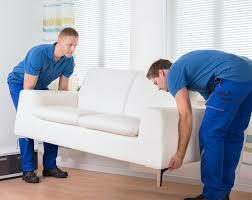 This article looks at the top five qualities of a small removal company. The growth of any business firm, whether a small removal company, or any other company for that matter, depends on the satisfaction of its previous clients. This is so necessary that you will always hear some business going against the business ethics and trying to bring up fake customer base. But for a good small removal company, you should be able to get a client base where you can find out more about its activities as well as the benefits of doing business with it. Any moving company must be in a position to have all the required equipment to help in packing, loading, unloading and many other things that are required when moving. A small removal company should be able to equip itself with all the necessary tools, if it hopes to get any meaningful client base. The Unbeatable Removals, for example, started as a small removal company, and had all the necessary tools required to efficiently perform its tasks, and that is why it is an international brand currently. Any small removal company needs to have a good and reliable customer desk where potential clients can go to get information about the moving company. And this is not just for inquiries, but also clients might want clarification about a number of things that they had ordered through the moving company. The relevance of a good customer care service in any company can never be stressed enough, more so when it comes to a small removal company. And what if the time you expected to be out of your current home lapses before you move? The small removal company should be in a position to offer you storage space for your items as you plan the next course of action. Of course, the storage is at a small fee, but it is worth getting a place to store your goods. Any business needs a license to operate, and this does not exclude any small removal company. Being registered and licensed to operate gives the potential customers reason to believe in your services. As a client, you need to find out whether or not the small removal company is registered. Don’t risk your money by hiring unlicensed companies to help you move your items.